The winter storms of last winter have been exceptional in their duration and intensity, and have led to the wettest December to January period in the UK since records began, causing serious coastal damage and widespread, persistent flooding. Later on in the year, the worst floods in more than a century have submerged large parts of both Serbia and Bosnia and Herzegovina following unprecedented levels of rainfall. Northern Afghanistan has been hit by a series of flash floods in recent weeks, which have affected tens of thousands of people. Those dramatic events that have consumed the south-west UK last winter, the Balkan countries this May and Afghanistan in recent weeks show how flooding can hit unexpectedly and cause devastation to people and communities. They should also raise a number of serious questions in us all, both as individuals and members of a wider society. The first is why we cannot seem to provide total flood prevention. After all, we do not face the frequent and devastating monsoons and widespread flooding that affect many developing countries in south-east Asia, for example, while our continental neighbours in the Netherlands seem to offer tangible evidence as to how hard engineering can provide total flood control, by forcing back and so keeping out the river and sea waters. However, the Dutch are well aware of the difficulties associated with building ever-larger flood defences to combat changing conditions. Instead, they have instigated a policy of managed retreat from some coastal areas. This does not mean they have stopped upgrading, rebuilding and improving existing flood defences, but are instead developing a portfolio of measures to manage and live with floods. So perhaps we need to start recognising flooding as another type of risk we live with and manage in our daily life. With flooding, we have to accept there will always be a real risk and it cannot be completely eliminated. Even the huge investment in improving the UK flood defences after the tidal surge of 1953 could not prevent the flooding experienced in the storm surge last Christmas. Yet there is no doubt that risk has been reduced in recent years. If you compared the flooding of 1953 and now, which are comparable in tidal height and the strength of the wind, then the previous flooding caused much more devastation – causing 300 deaths and numerous sea wall breaches. This and other recent major flooding incidents, such as those experienced in Gloucestershire in 2007, Cumbria in 2009 and Wales in 2012, would have caused much more damage if it were not for the work and expertise of the Environment Agency. The way forward is to forget about one simple “silver bullet” solution to the flood risk problem, such as dredging or only building concrete flood walls, but to think of flood risk management as a way of increasing societal resilience. This would involve a combination of measures and decisions: to prevent or mitigate flood risk, to prepare for the inevitable occurrence of flooding, to develop warning and alarm raising systems, to plan for an effective response to flooding events and limit loss and exposure, and to plan and organise recovery. Even if we focus only on prevention and mitigation of flood risk, the difficult decisions will have to be made by government, its agencies, local authorities, families and ourselves, on an individual level. We have to ask ourselves some tough questions. What are our strategic priorities? Can we develop more synergistic policies that help reduce flood risk, like encouraging better farm management practices? Where best to invest limited funds, to gain maximum protection from flooding? Can we allow some farmland to be designated for being safely flooded in extreme situations to protect towns elsewhere? Can we continue to build on flood plains? When do we consider managed retreat from flood vulnerable areas? The bottom line is flood management is not only about how much dredging we can do, how many more new drains to dig, or how much concrete we can pour. We have to use our best science and engineering, but also work with nature to maximise natural flood protection, which means: protecting and restoring wetlands (that can store or slow down water flowing into our rivers), reconnecting flood plains (to make space for water and protect important areas), investing in upland forestry (to reduce flooding downstream). Research at the University of Exeter has demonstrated that the restoration of peat bogs on Exmoor could result in a third less water leaving the moor during heavy rainfall. 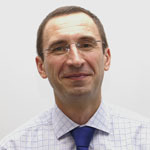 Professor Dragan Savic FREng is the co-director of the Centre for Water Systems, and Professor of Hydroinformatics at the University of Exeter. This entry was posted in Uncategorized on June 10, 2014 by Rob Thompson.